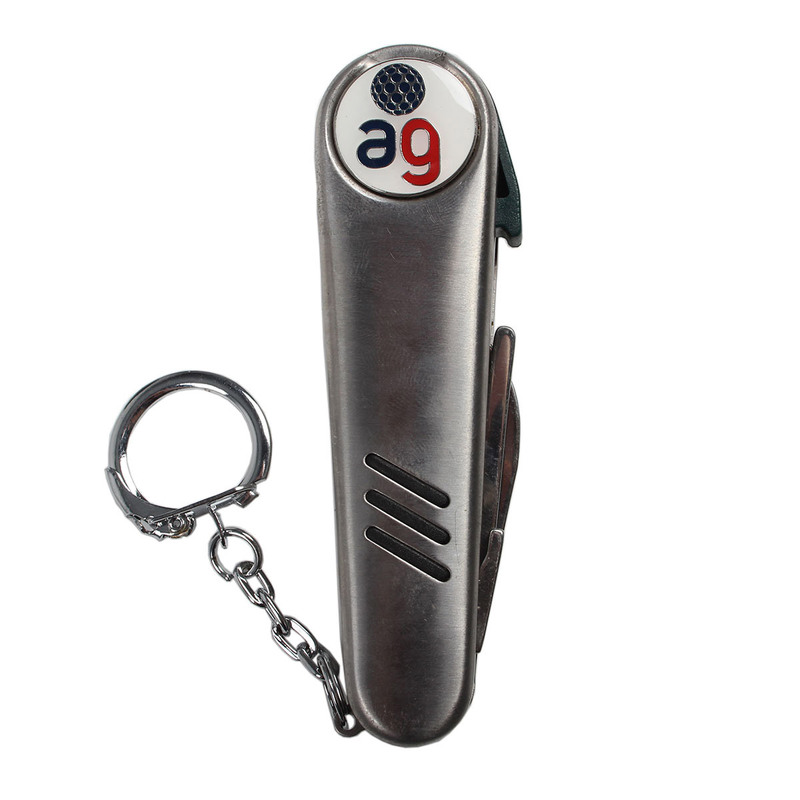 This essential multi-tasking tool is perfect for dealing with everyday life on the golf course. 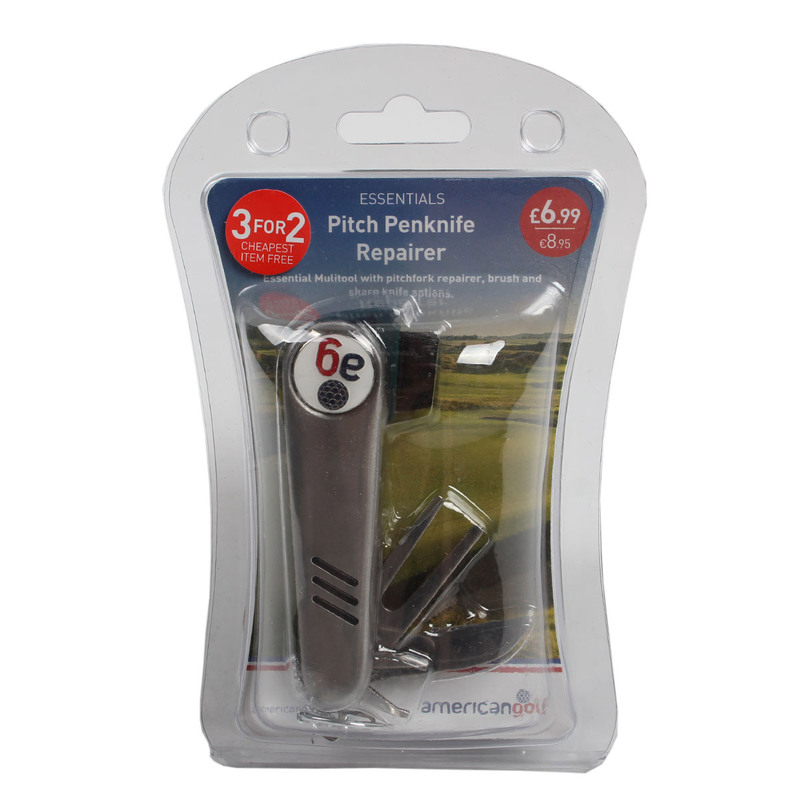 Options include a magnetic ball marker, club cleaning brush, pitch mark repairer, stud key, and a sharp knife, all of which fold into a handy portable device. 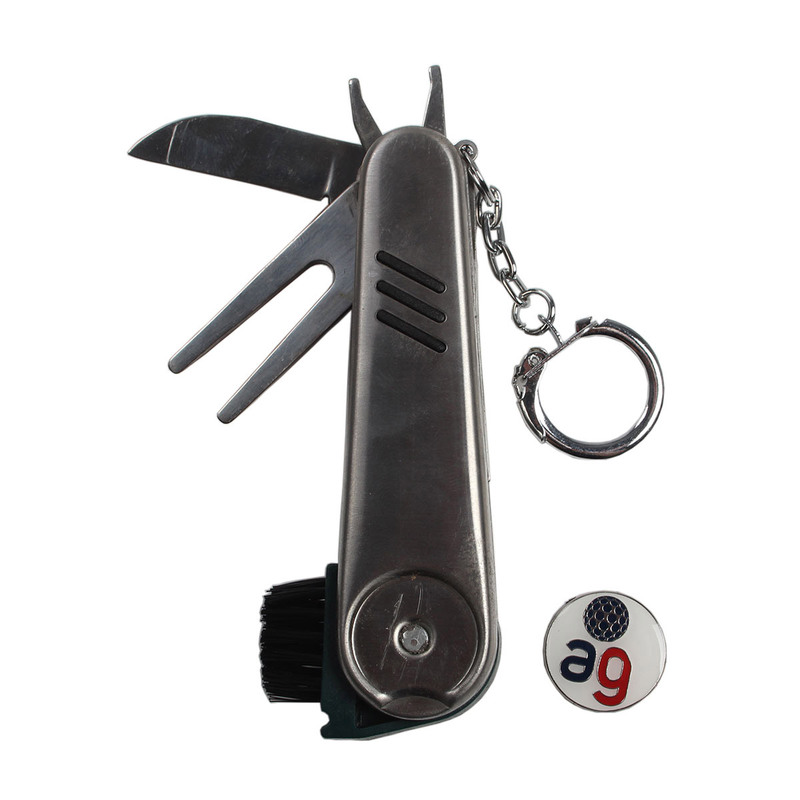 This penknife can be easily attached to your bag with a metal keychain and is compact enough to be stored in your inside pocket during your round of golf.